So you may be wondering what a ‘Do’ or ‘MegaDo’ is. When I tell my friends that I am going somewhere to attend a MegaDo, I often get quizzical looks. To put it in its most simple terms, a Do is a gathering of members of the frequent flyer community, primarily for travel and social reasons. A Do is structured around location, events, and lots of discussion about flying and destinations. Sometimes the events are sponsored by hotel chains, airlines, frequent flyer organizations, or simply someone who is brave enough to put the event together on their own. Some sponsored events may also put forth social causes like Livestrong, or Kiva. Some of the events at the Austin Mega Do were in part sponsored by Milepoint. 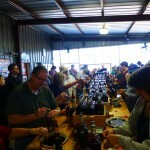 I just returned from the Austin MegaDo which is now in its third year. The organizers did a fantastic job with the planned activities and, as always, it is just great to see and connect with friends – old and new. Although I had to leave a day early, I thought I would share a few highlights that I experienced. 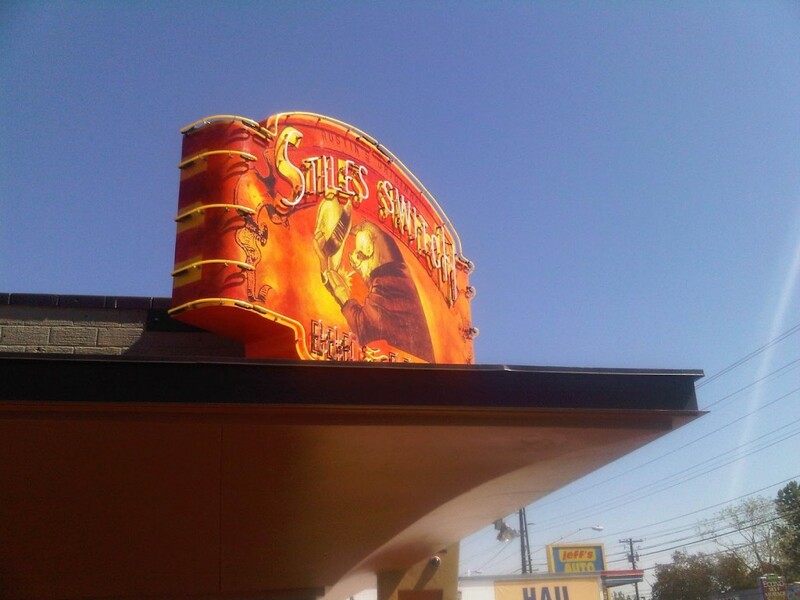 We started on Thursday with lunch at Stiles Switch BBQ and Brew located in the Violet Crown Shopping Center, one of the “oldest” shopping centers in central Austin. It was a great, informal start to the week-end. The brisket was cooked to perfection but the ribs were absolutely to die for. There were plenty of seats and a good selection of beer on tap. 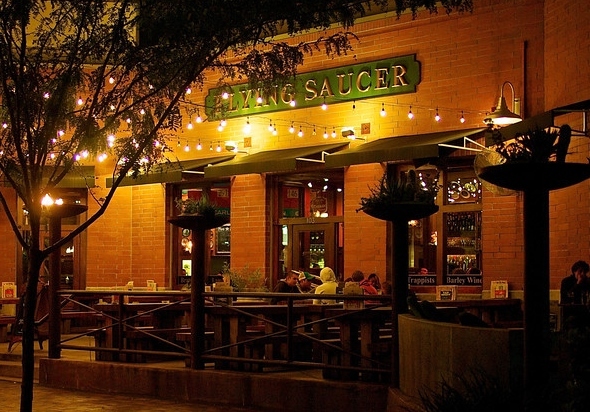 At 7 pm we all met up again for a private party at the Flying Saucer. If I lived in Austin, this would definitely be a place I would visit again. It has a huge outdoor patio and inside serves just about every beer you would possibly imagine or want. Friday was the day I was most looking forward to and it did not disappoint. 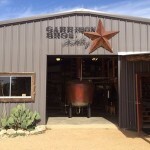 We were up early and on the road by 8:30 headed to the small town of Hey, Texas, to visit Garrison Brothers Distillery the first and oldest legal whiskey distillery in the State of Texas. Arriving at the bunk house where Dan Garrison, who founded Garrison Brothers in 2006, may stay during the week. 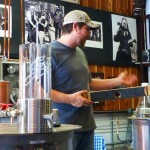 We were soon trundled up the hill on a tractor pulled trailer to the distillery and packaging area. Garrison uses top quality organic grains – corn from the Texas Panhandle and premium organic winter wheat and barley from the Pacific Northwest and Canada. All the grains are ground fresh daily on site. The corn is cooked first, then wheat is added and cooked, and then the malted barley. 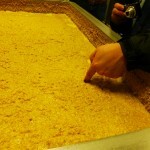 The yeast is the final ingredient with fermentation taking four days. 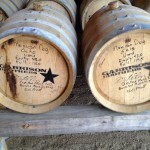 What helps Garrison bourbon to stand out from the crowd is that he uses pure sweet mash instead of sour mash. 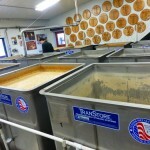 Any spent mash is used by local farmers as feed for their cattle. Learning about the process and the requirements of what makes bourbon, well, bourbon; tasting the sweet mash, sampling the final product, and even helping in the packaging barn, it was a fascinating tour. 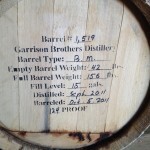 Although a little pricey, a bottle of Garrison Brothers bourbon came home with me! 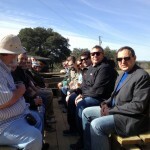 Below is a slideshow of pictures from the tour. 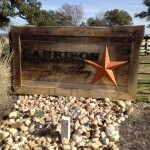 After our visit to Garrison’s we headed to another small sleepy Texas town, Blanco. It was a lunch on your own affair… a group of friends and I had a wonderful lunch at the Old 300 Restaurant for… what else? Texas BBQ! 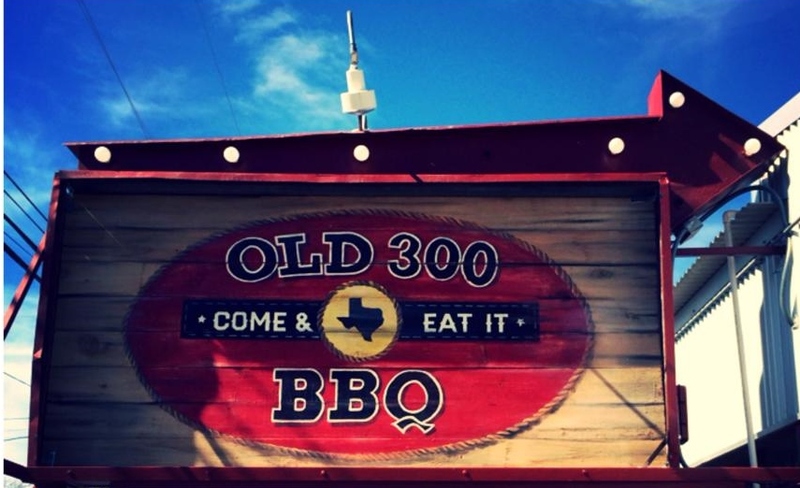 Named for the 300 orginal settlers of Texas, the restaurant is located on the main square in Blanco. 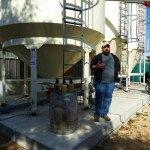 From there we traveled a short distance to Real Ale Brewing Company a small, but growing, handcrafted beer brewery. 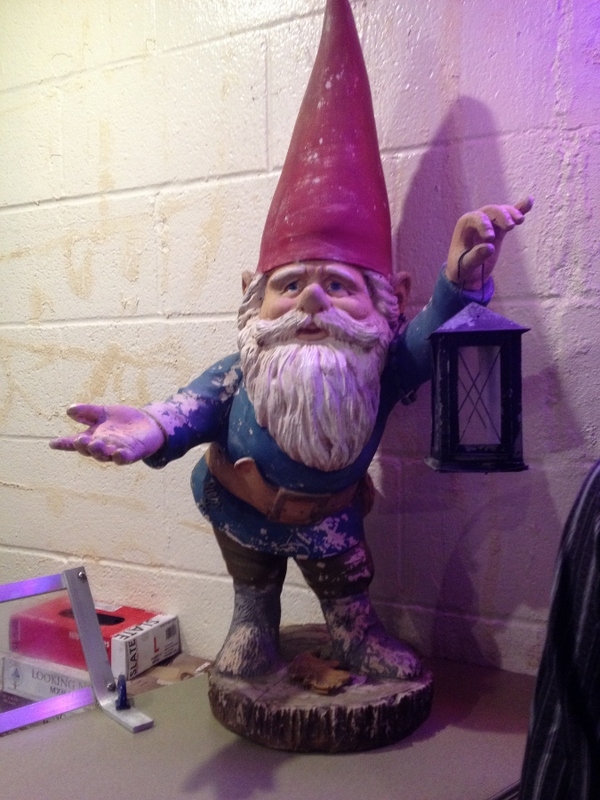 The owners, the Connor Family, initially set up shop in the basement of an antiques store on the Blanco town square. 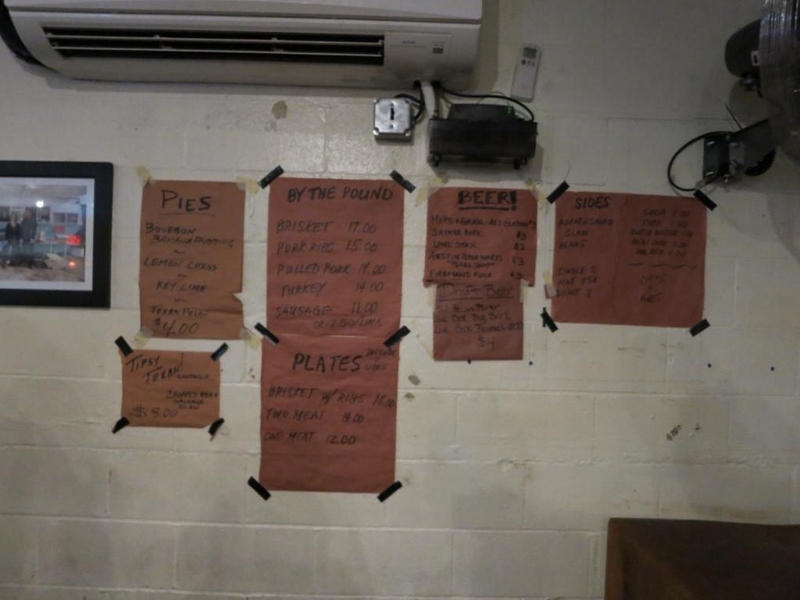 They had three original recipes brewing – Full Moon Pale Rye Ale, Rio Blanco Pale Ale, and Brewhouse Brown Ale. 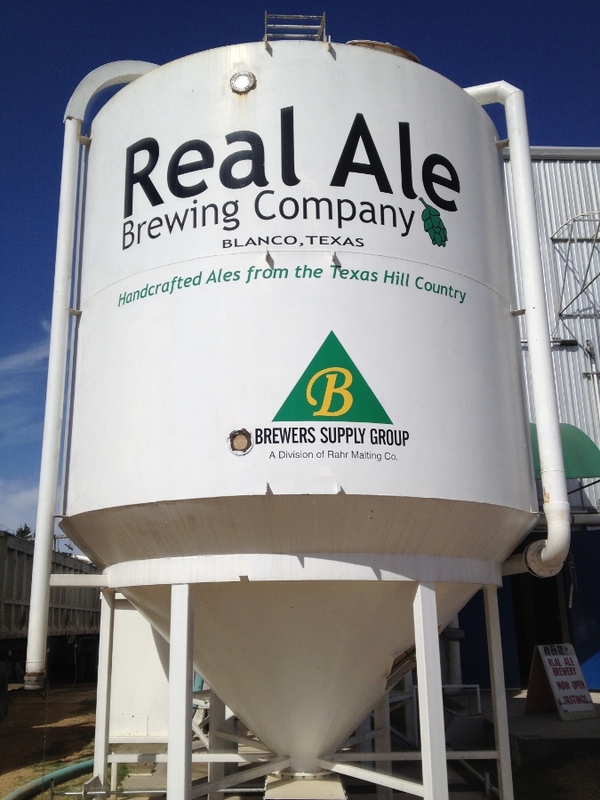 Real Ale uses a 60 barrel stainless steel brewing system which incorporates malted grain, domestic and imported hops and clear Texas spring water to craft their unique beers. The company has been brewing since 1996 and, even though I am not typically a beer drinker, I found the taste to be both unique and delicious. Upon arrival we were directed into a sort of mini-pub where we were offered glasses of beer to sample. 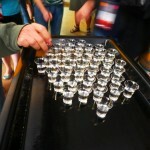 I believe there was no limit to the number of samples as I saw several make the trip to the bar more than once. My favorite? 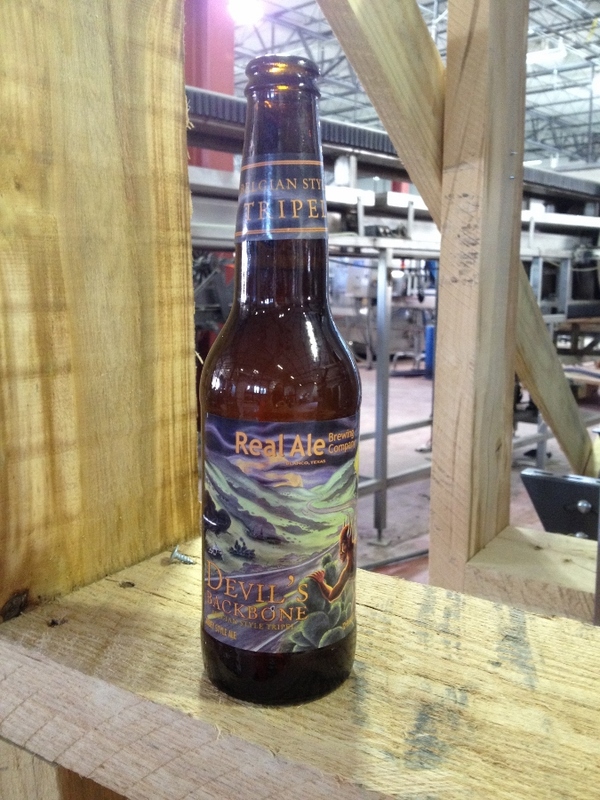 Devil’s Backbone, a Belgian-style tripel. 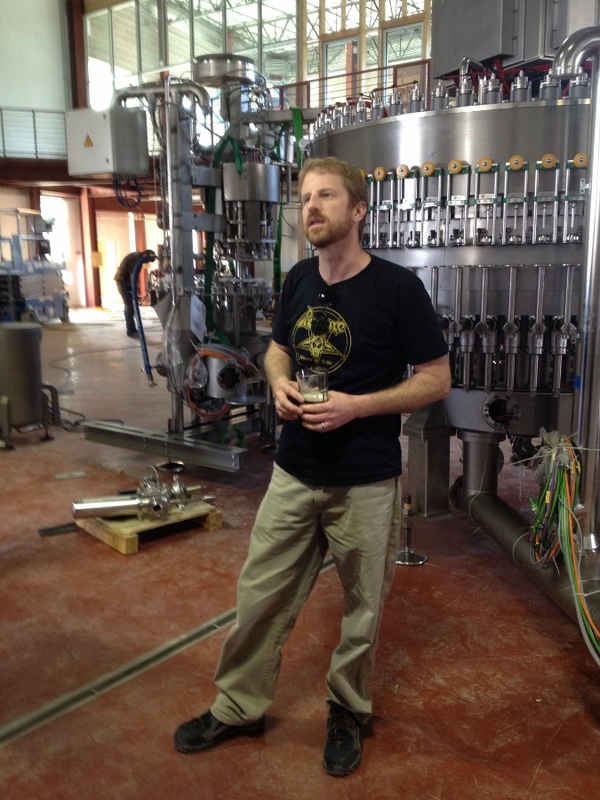 Real Ale is in the process of expanding its operations so our tour included the new facilities where a new bottling and packaging line was being installed. 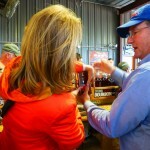 Unfortunately, at this point in time, you will only be able to find Real Ale products in the state of Texas. However, if you are in the Austin area I would strongly suggest a visit and tour of the facility. 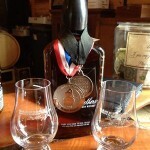 The tasting opportunities alone are worth the short drive. Friday night the Austin Do group was hosted by Starwood Properties with a reception at the Sheraton Austin. Each guest was given a raffle ticket and the opportunity to win up to 10,000 Starwood points. I crossed all fingers and toes, but this time the prizes went to other lucky Do participants. 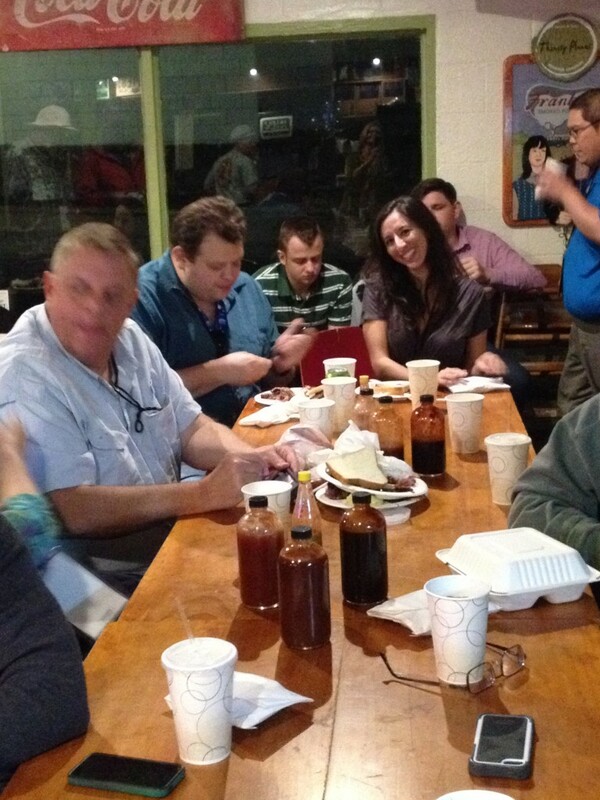 Following the reception, we walked a short distance to enjoy the famous Franklin BBQ house. Franklin BBQ has achieved an incredible reputation considering that Aaron Franklin just opened the business in a trailer in 2009, however, it wasn’t long before they moved to their present location on 11th Street in Austin. They are only open for lunch at 11 a.m.but people begin lining up as early as 9:00. Franklin’s only stays open for as along as there is meat to sell and sometimes the “Sold Out” sign goes up before the restaurant even opens. 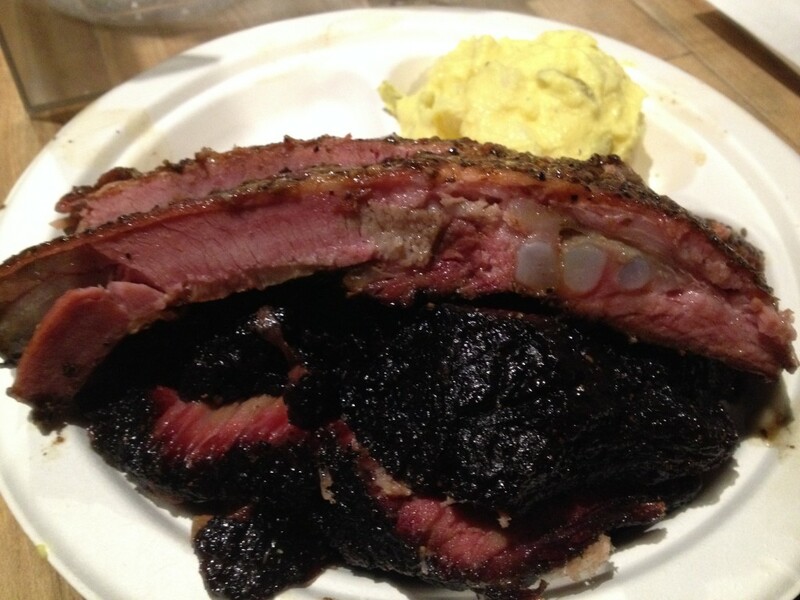 Let me just say, that the brisket and ribs I had at Franklin were just as good as they hype…yes, that good. Lucky for us, the organizers of the Do had arranged for a private dinner! I have to agree with the general consensus, this was some of the best barbecue I’ve ever had. 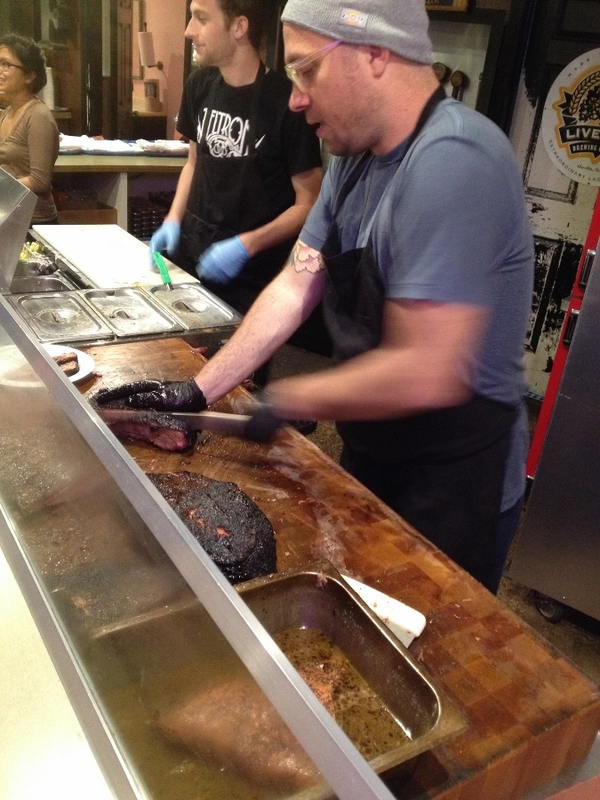 The brisket was so moist and wasn’t so fatty that I couldn’t eat it. And the little crispy bits…to die for. 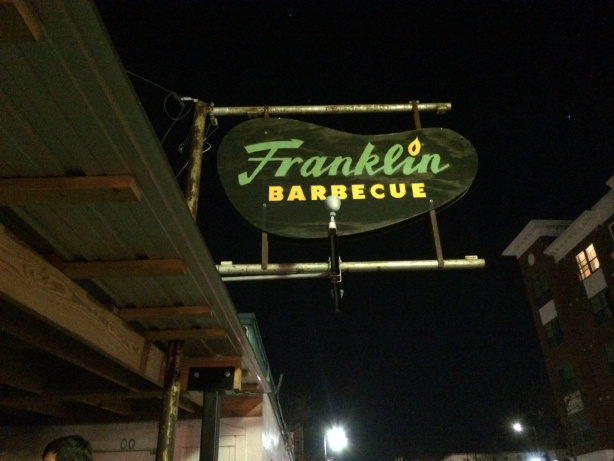 Franklin’s should definitely be on your list if you visit Austin! Saturday night the Do finished up with a charity event held at the Livestrong Headquarters. Although I had to fly out Saturday morning, from the comments, I think the event was a huge success! So if you ever think you would like to attend an event such as this, you can find all sorts of opportunities listed in the Community Buzz Forum on FlyerTalk or in the Meetup Forum of Milepoint or the Community Forum on Milepoint . From small, informal dinner get togethers to the larger events like the Austin MegaDo, there is something for everyone. Pay close attention though – these things can sell out in hours! 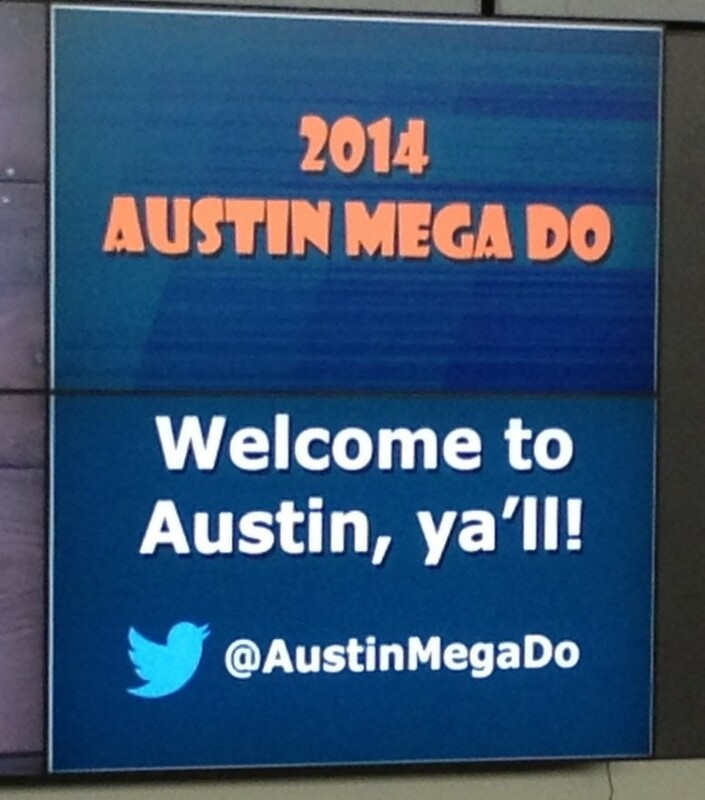 1 Comment on "The Austin MegaDo"
Austin MegaDo looks like another winner with lots of beer & Bar-B-Q-focused events.